Thảo luận trong 'ENGLISH' bắt đầu bởi Brian Hallett, 17/4/19 lúc 02:52. One could touch it. You could even look through the camera to see how the lens performed. But, at NAB 2019, you could not take a picture with the camera mounted to the Nikkor 58mm f/0.95. I say “camera mounted to the lens,” because the Nikon Z6 attached to the 58mm f/0.95 looked… well… small in comparison. What PVC saw at NAB 2019 was the sharpest f/0.95 aperture lens we’ve ever seen. What is the NIKKOR Z 58mm f/0.95 S Noct? It is an evolution based around Nikon’s new Z-mount, the fastest lens in Nikon’s history, and positioned at the very top of the S-Line. It will stand to symbolize the Nikon Z mount system’s new dimension in optical performance. I also believe we may have been given a glimpse into Nikon’s first cinema lens. Large aperture. Close to 300 degrees of movement for the focus ring. 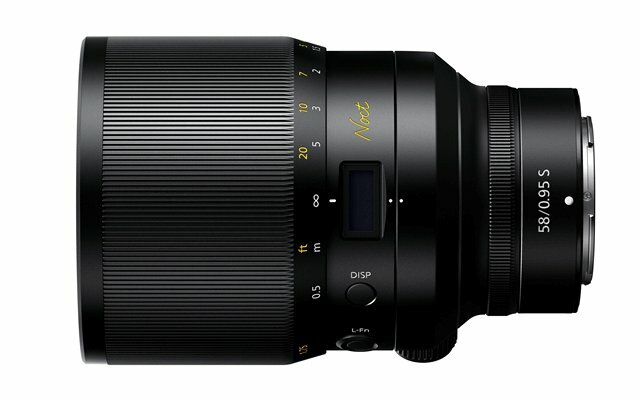 I think Nikon may be secretly showing off a future cinema lens. This, of course, is only speculation on my part. It is also something I personally would like to see happen. With the Nikkor 58mm f/0.95 we have a cinema “like” lens capable of rivaling most similarly priced cinema lenses. Something interesting Nikon has done with the Nikkor 58mm f/0.95 is what looks like the iris ring in the lens is actually a function ring. It can act as an aperture or you can change its function to change the camera’s ISO which is just one example. This is the type of forward-thinking I like to see in a lens. We should not be beholden to classic cinema lens design if we have better options. Hopefully, we will see a Nikkor cinema lens line-up with all f/0.95 apertures. For those who are about to comment that this lens is huge… compared to a 50mm f1.2, yes you are correct. Compared to a Cooke cinema lens, it is in the same size range. Below is what Nikon says about the Nikkor 58mm F/0.95. Nikon is proud to announce the development of the NIKKOR Z 58mm f/0.95 S Noct, a one-of-a-kind manual focus lens with the largest maximum aperture of any NIKKOR ever: f/0.95. 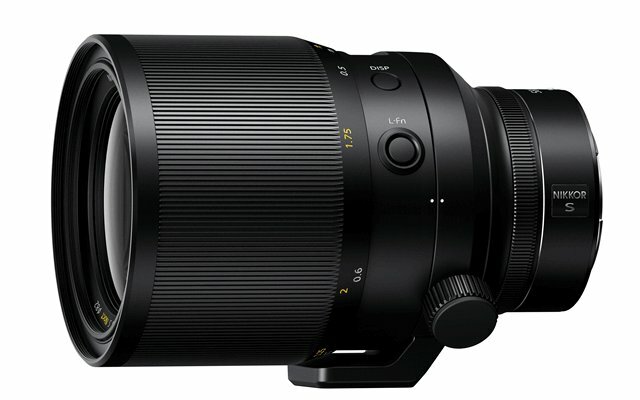 Made possible by innovations of the new Z mount, it will deliver thrilling new capabilities for the Z series mirrorless system—vast depth-of-field control and elaborate bokeh for portraiture, superb point-image reproduction and low-light performance for night landscapes and astrophotography—all in an immaculately constructed lens with precision feel and brilliant operability. The post NAB 2019: Nikkor Z 58mm f/0.95, The fastest lens in Nikon’s History appeared first on ProVideo Coalition.